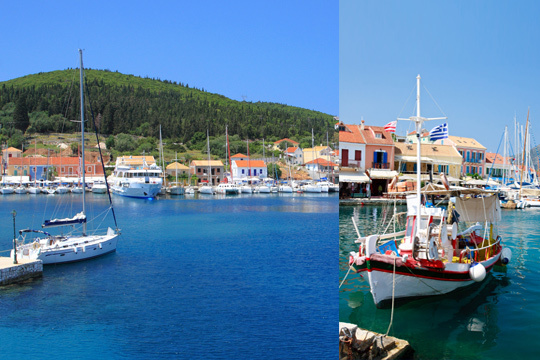 Kefalonia… a true love story! Apart from their unique natural beauty and rich history, the Ionian Islands are indeed among the most famous islands in Greece for their contribution to the (art of) cinema! 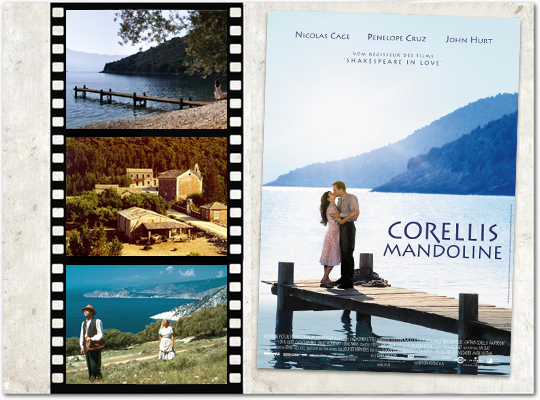 Some years after Corfu Island stared in James Bond: For Your Eyes Only movie, it was Kefalonia’s turn to astound the worldwide public with Captain Corelli’s Mandolin, a novel from Louis de Bernières that came to life by the Oscar-winning director John Madden. The island’s untouched beauty, idyllic settings, traditional settlements and tranquility, even in high season, were the principal reasons that made it the perfect place for shooting the love story set against the turbulence of World War II. The village of Sami hosted most of the shooting but many scenes also took place on the beaches of Myrtos and Antisamos, as well as other smaller villages. 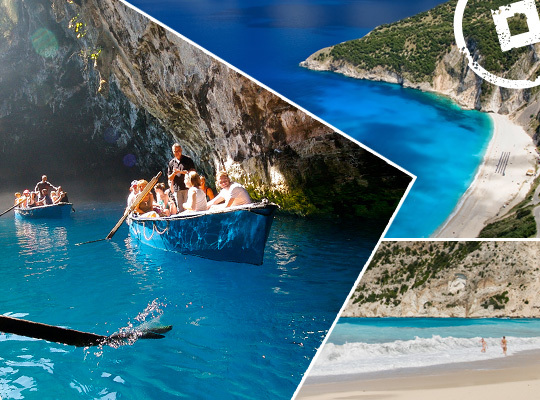 Kefalonia literally is a well preserved, unspoiled paradise… Its lush vegetation, dazzling beaches hued with breathtaking contrasts of deep blue, exotic white and overwhelming green colours, romantic sunsets and scenic landscapes lured Cycladia and became its next Ionian destination! Kefalonia’s graceful beauty is successfully depicted in the island’s contemporary life and infrastructure. Luxury suites and sublime villas, exceptional traditional taverns and popular restaurants give out the sense of courtesy and authenticity that distinguishes Kefalonia from most destinations not only within the borders of Greece, but also around the world. Experience a dreamy holiday in a unique private villa in an idyllic settlement, like Braunis Horio in Assos village, and make sure to tour around the island and explore all of its hidden treasures … anything less than 6 days in Kefalonia is just not enough! 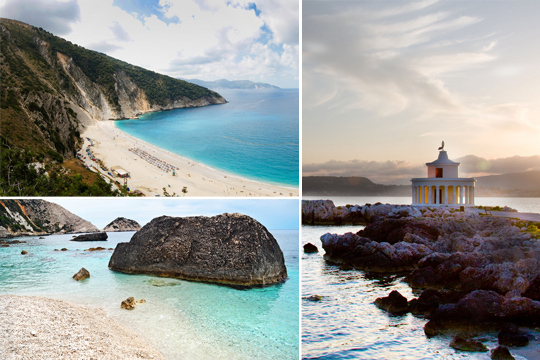 Navigate through Kefalonia’s secrets with more hot tips, valuable suggestions and useful information in our new guide. This entry was posted in Destinations, Ionian Islands, News of Cycladia, Video. Bookmark the permalink. 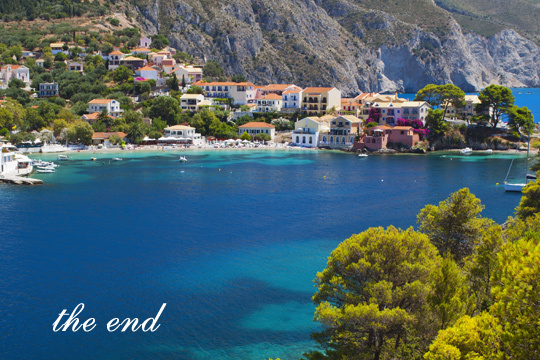 3 Responses to Kefalonia… a true love story! Cefalonia, the jewel of the ionian sea! great post. Thank you @kkoolook for your kind words! !